Yuasa will mark the 100th anniversary of its founding by running a vintage Yuasa logo on both Halfords Yuasa Racing Honda Civic Type R cars at the British Touring Car Championship (BTCC) Thruxton rounds on 19 & 20 May. 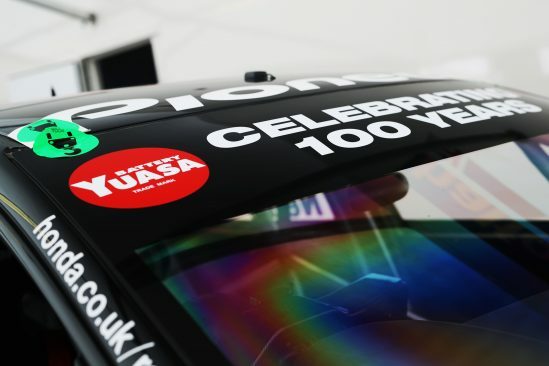 Drivers Matt Neal and Dan Cammish will carry a special livery on their cars with a ‘Celebrating 100 Years’ windscreen sun strip and a vintage Yuasa Battery logo on the bonnet. The circular logo appeared on all Yuasa products sold and produced in the UK up until 1992 when it was replaced with the current ‘water tower’ logo familiar to all BTCC fans. The Yuasa Battery Storage Company was founded by Shichizaemon Yuasa in 1918, and began manufacturing Japan’s first automotive batteries soon after. The company grew to become a battery super power, renowned worldwide for its innovation and quality. Yuasa is the market leading brand for both vehicle and industrial batteries in the UK. It is distributed in the UK by the European arm of global battery manufacturer GS Yuasa who are based in Japan and were formed in 2004 by the merger of Yuasa Corporation and Japan Storage Battery (GS). A Yuasa battery from 1989 featuring the old logo(left) with a current model. The GS Yuasa Corporation is the world’s leading manufacturer of energy storage solutions and the number one choice for quality, reliability and performance. The company is celebrating its 100th anniversary during 2017 and 2018, with GS having been founded in 1917 and Yuasa in 1918. James Hylton, Managing Director of GS Yuasa Battery Sales UK Ltd said: “We are delighted to be celebrating the 100th anniversary of Yuasa’s founding. We wanted to do something extra special to mark the occasion… after all it is not often you get the chance to celebrate such a momentous milestone! 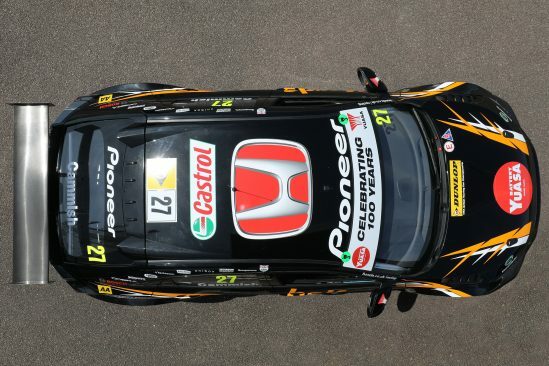 “Having sponsored Halfords Yuasa Racing (formally Honda Yuasa Racing) since 2011, the Yuasa logo has become synonymous with BTCC racing. Thruxton is our ‘home’ event so it is the perfect venue to run the vintage Yuasa logo and highlight our centenary to hundreds of thousands of motorsport fans both at the circuit and live on TV. The BTCC is shown live on ITV 4. Race one at Thruxton begins at 12.15pm on Sunday 20 May.